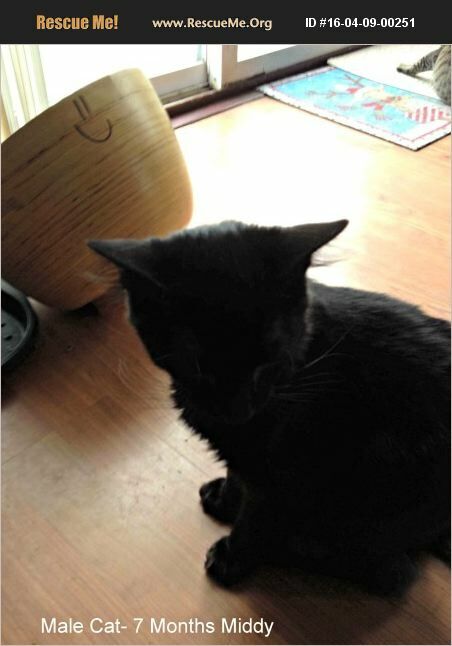 Middy is a black and chocolate brown cat, who loves to cuddle and lick your nose. He's very friendly with other cats and dogs. Will cuddle on your neck for hours.